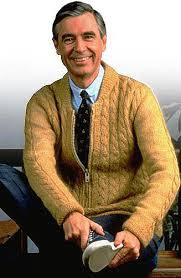 Fred Rogers was a highly theological educated man, an ordained Presbyterian minister who also gave generous grants to St. Vincent’s College and Seminary (Roman Catholic) in Latrobe, Pennsylvania. I think he was well aware of the theological significance of the concept of “neighbor,” which we will explore through the Readings for this Sunday. It is hard to exaggerate the importance of the Book of Deuteronomy to the structure and meaning of the entire Bible. The name “Deuteronomy” comes from the Greek deuteros nomos, “the second law.” It is so named because, among other things, in this book Moses repeats the Ten Commandments for the second time (cf. Ex. 20; Deut 5). Deuteronomy is the fifth and last of the Torah, the “Books of Moses,” and it summarizes and interprets the preceding four. Deuteronomy is thus the definitive statement of the Mosaic Covenant and Law in its final form, just before the people of God enter the promised land under Joshua. Moses himself dies at the end of Deuteronomy, so this book is the final statement, the final will and testament, of the great Lawgiver of the Israelite nation. The importance of Deuteronomy is shown by how often it is cited and quoted in later literature. Deuteronomy is one of the top four most-quoted books in the Dead Sea Scrolls and the New Testament (along with Psalms, Isaiah, and Genesis). Our Lord Himself quotes exclusively from Deuteronomy in his three responses to Satan’s temptations in the wilderness (see Matt 4:1-11). Deuteronomy is a book of paradoxes. It includes within itself both the loftiest articulations of the love of God (Deut 6:1-9), as well as some of the harshest laws in the Old Testament (Deut 7:1-5). In Deuteronomy, Moses is at the end of his career as leader of Israel. He has communed intimately with God for forty years “face to face,” so he understands God’s nature and love. At the same time, he has “beaten his head against a wall” trying to get the Israelites to follow God’s commands for even a few days in a row. Ten times the Book of Numbers records Israel rebelling against God and Moses in the wilderness. Thus Moses is caught between his vision of God’s lofty nature, and his oh-so-realistic understanding of the deceitfulness of human nature. Properly understood, the heart of the Law of Moses is an expression and extrapolation of the natural moral law, which all persons are obliged to follow. R.(9a) Your words, Lord, are Spirit and life. Right and wrong are written into the fabric of nature and the fabric of our nature. If we thought rationally, we would discern the good from the bad. However, due to our inclination to sin, we tend not to think rationally, but instead to rationalize. We can’t think clearly, because we are not seeking truth, we are seeking our own pleasure. For that reason, although right and wrong are written on the human heart, very few accurately perceive what is good and what is evil without the help of God’s revelation. For this reason, the psalmist in Psalm 19 praises God for the perfection of his Word, of his Law. When we receive God’s Word with humility, and accept his definitions of good and evil, suddenly “the lights come on.” We are able to think clearly. In hindsight, it seems so obvious: “Why couldn’t I see that abortion was wrong? Why couldn’t I see that it was taking an innocent life?” Yet at that time, we were trapped in a web of rationalization through which only God’s Word can cut, since it is “sharper than a two-edged sword” (Heb. 4:12). Having been converted, we praise God for the revelation of his Law, which suddenly has made sense of our moral universe. The Second Reading helps us to understand how the natural law written on our heart is related to God’s supernatural revelation of Himself. God’s highest revelation of Himself is the person Jesus Christ, whom we call the “Word” of God. This Word bursts into our reality by taking on human flesh, walking and talking with us for thirty years, dying, rising from the dead, and commissioning his messengers to teach his words until he returns. Yet this Word was also the divine person through whom the whole cosmos was created. Since in a very real sense we were created by Jesus, it is not inexplicable that our natural sense of right and wrong should correspond to to the positive law we find in Scripture: the Ten Commandments, the Sermon on the Mount, the Two Greatest Commandments. This Second Reading also reminds us that the Christian Gospel is not just “a way” to come to God, but “the way” to come to God. Christ Jesus is the image of the Father; he is the creator God. All persons, whatever their ethnic or religious background, were made “in Christ” and in his image. Therefore, the message of the cross is a universal message. Christ’s suffering and death is the universal proof to all humanity of God’s merciful love for us, and his resurrection the universal proof of God’s ultimate power and goodness. Other religions, philosophies, and teachers may grasp various points of truth, but they are not the way to the Father. Interestingly, when asked outright how to have eternal life, Jesus does not say, “Just have faith in me and then do whatever you want.” He actually points to the law of God and the moral life. Living a life in accordance with God’s law—which is a law of love—is not optional. It is an integral part of what it means to be saved, of what is necessary to have “eternal life.” Because of the Protestant emphasis on “salvation by faith alone,” large sectors of Americans who identify themselves as Christians have lost sight of the fact that living according to God’s law is a non-negotiable dimension of salvation. 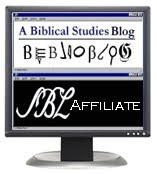 The scholar of the law with whom Jesus converses is astute. He summarizes all 613 commands of the Mosaic Torah under two broad commands: love of God, and love of fellow human beings. He quotes the first command from Deuteronomy (recall our First Reading), specifically Deut 6:5, which is part of a famous passage (Deut 6:4-9) called the Shema in Judaism. It begins “Hear, O Israel! [Heb. shema, yisrael!] The LORD Our God, the LORD is One! You shall love the LORD your God …” This Shema passage is recited by pious Jews three times a day, and functions in Judaism much like the Our Father or Apostles Creed does in Christianity (see here). Many Christians think Jesus was being original in summarizing the Mosaic Law as the two commands of love (see Mark 12:28-31), but Jesus was in fact simply endorsing the best traditions of Jewish moral and legal thought. Jews and Christians differ over the identity of Jesus Christ, but usually not on the fundamentals of the moral law. In response to the man’s question, Jesus tells the famous story of the Good Samaritan. “A certain man went down from Jerusalem to Jericho.” This was quite a descent, because between Jerusalem and Jericho one moves from one of the highest regions in Israel to one of the lowest, well below sea level. In fact, the Dead Sea, not far from Jericho, is the lowest point on earth. During this rapid descent, the terrain becomes increasingly dry until one is surrounded by a desolate wilderness of eroded hills pockmarked with caves that provide ample hiding places for brigands, outlaws, revolutionaries, and thieves. This man is apparently a bit of a fool for attempting the trip without traveling with a caravan, and he pays for his foolishness severely. The priest and Levite “pass by on the other side.” It was not just that these persons were “too busy,” as the famous Veggie Tales version would have it. Contact with a dead body would result in ceremonial uncleanness, preventing the priest and Levite from performing duties in the Temple. It was not possible to tell whether the man is alive or dead without touching him, so the priest and Levite give him a wide berth to avoid potential contamination. Both forget the teaching of the prophet Hosea: “For I desire mercy, and not sacrifice; the knowledge of God, rather than burnt offerings” (Hos 6:6). In other words, deeds of mercy take precedence over cultic concerns, even in the Old Testament itself. The priest and Levite may have been liturgically observant, but failed to grasp the heart of God’s law. On the other hand, a Samaritan passes by. Samaritans were mixed-race descendants of Israelites and Gentiles. In 722 BC, the Assyrian army conquered the northern Kingdom of Israel and deported the middle and upper classes. The King of Assyria brought in several Gentile ethnic groups to replace the deported Israelites (2 Kings 17:7-41). These Gentiles mixed with the low-class Israelites left behind, producing the Samaritans. The Samaritans offered to help build the Temple in Jerusalem when the Jews returned from Babylonian exile c. 537-520, but they were rebuffed by the Jews (Ezra 4:1-4). The Samaritans then decided to build their own Temple on Mt. Gerizim in northern Israelite territory. Eventually they developed a different system of cultic purity (“kosher”) and different legal tradition (“halakha”) than the Jews. Jews regarded them, with justification, as schismatics and heretics. Although the Samaritans had been harshly treated by the Jews and deserve some sympathy, there was simply no theological justification for building a Temple to the LORD on Mt. Gerizim (see John 4:16-26). So, this Samaritan—a mixed race person of heretical and schismatic religious doctrines—happens to pass by on the road, and takes notice of the man. Although the Samaritan has admittedly wrong views about where to worship and how, he does understand that mercy takes precedence over cultic purity (Hos. 6:6), and thus—ironically—he has a better fundamental understanding of the Law of God than the priest or Levite. (Not accidentally, the book of Hosea was addressed to the people of northern Israel, the ten tribes whose descendants became the Samaritans. This Samaritan has appropriated the message of the one prophet who specifically addressed his ancestors [Hos. 6:6]). He bandages the man’s wounds and cares for him as if he were a family member. At the end of the parable, Jesus says, “Who was a neighbor to the man?” and tells the scholar of the law, “Go and do likewise.” Notice how Jesus shifts the discussion. The scholar had asked “Who is my neighbor (to me)?” but Jesus teaches a lesson on how to be a neighbor to other people. It is a lesson that, no doubt, sat very uncomfortably with the scholar of the law, because Jews absolutely despised Samaritans. The idea that the mercy of God should be expressed across borders of heresy, schism, and cultic purity was very hard to accept. There is a deeper level of meaning to the parable. The beaten man is a symbol of Everyman, of the human condition. The priest and Levite represent the Old Covenant (i.e. the Mosaic Covenant), which is good in itself but does not have the power to save us. The Good Samaritan is a type of Jesus himself. Although Jesus was not a Samaritan, he was accused of being one (John 8:48) and he consistently showed love for the Samaritan people (John 4; Luke 9:51-55). The Jewish religious authorities viewed Jesus as similar to a “Samaritan,” in that he did not observe the “proper” cleanliness laws and departed from the standard Jewish tradition (the teachings of the elders) in his interpretation of the Law. Thus, Jesus is the one rejected by the religious leaders (Levites and priests), who nonetheless comes to us, observes our pitiful condition, and condescends to bandage our “wounds” and care for us, even though it means “contaminating” himself by contact with our corruption and sin. I am aware that the Christian tradition of seeing Jesus typified in the Good Samaritan is widely rejected by scholars, but I believe the tradition is correct. Jesus often told parables with multiple levels of meaning, and he was known to tell parables in which one of the characters was an image of himself (see Matt 21:33-41). I believe this is the case also with the Good Samaritan parable.